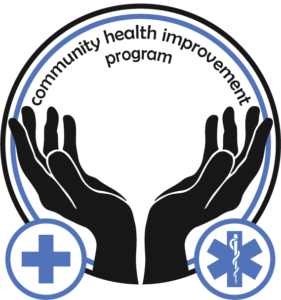 Alexandria E. Anderson is currently the Executive Director for Southern Nevada CHIPs (Community Health Improvement Program), a private non-profit organization providing social services resource and healthcare navigation services by inter-professional care teams to community members identified as high-risk or in-need by local first responders. Clients are referred to the program by first responders and come from a variety of backgrounds, from mental health and substance abuse to the elderly and medically fragile. Ms. Anderson is currently serves as the SOAR Coordinator for Caridad Charity, a Las Vegas agency focused on providing homeless services through customer service based outreach and interagency collaboration. Ms. Anderson worked for the Los Angeles County Department of Public and Social Services as a homeless advocate and eligibility worker. Further nonprofit experience includes MOPS, Mothers of Precious Souls, dedicated to assisting young mothers and Genesis, which provided sports programming for at-risk youths. Ms. Anderson holds a bachelor’s degree from California State University Dominguez Hills in Education with a Minor in Human Development and is pursuing a Master’s Degree in Social Work with an emphasis in Management and Community Practice from the University of Nevada Las Vegas. She is a 5-time California Collegiate Athletic Association All-Conference Athlete for the 400, 100, and 60-meter hurdles, and a National Collegiate Athletic Association All-American.